You always wonder what forces our kids to be both similar and different to each of us. For me I sit back and hope that my son picks up the best of my characteristics and none of my worst ones. 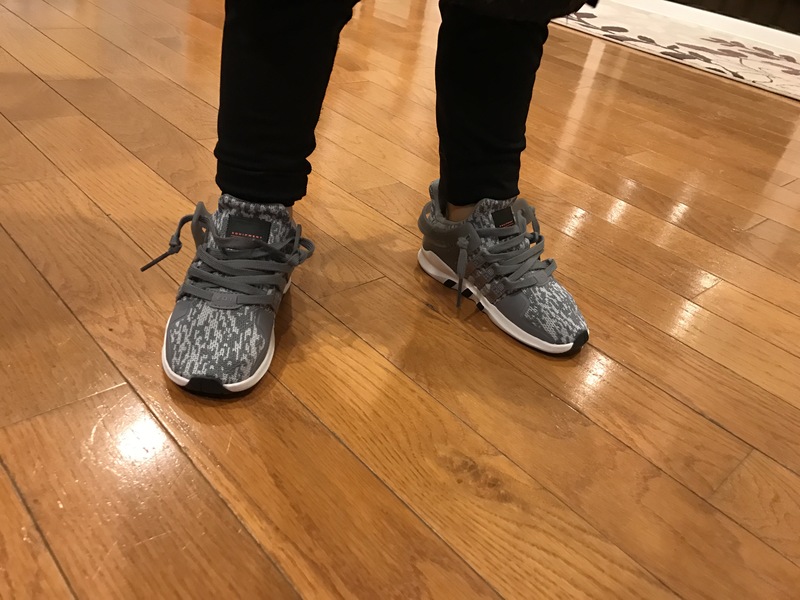 It should be no secret to anyone who reads this that I am a fan of sneakers, I have written many times my opinions on shoes and discussed recent success and failures over my ability to buy shoes. 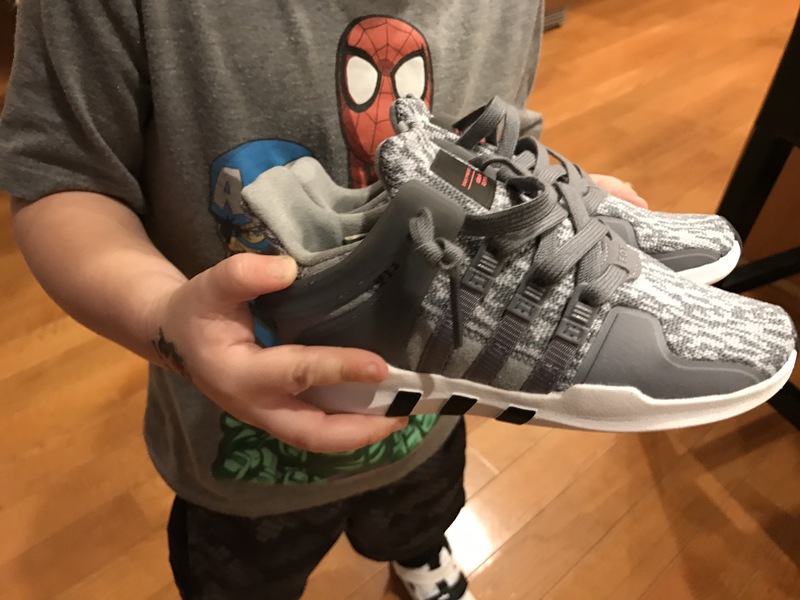 Like many other “sneakersheads”, for lack of a better term, I also buy my kids sneakers… potentially with a little more flair than your average parent. What surprises me is how early, my son is currently 3, that he has picked up a love for sneakers. Today my son was excited we were going to the mall (although ironically for the disappointing final day of the American Girl store in Pittsburgh) and the first thing he asked was if he could go to the shoe store. It also had to be the first store we went to. So while my daughter walked through the bare shelves of what once was, my son and I headed over to Champs. As we hit the stores threshold he ran back to the toddler table to see what new shoes were available for him to admire, try on and hopefully convince his Dad they were “must-haves”. By the time I was back there he was already telling the sales guy how he didn’t like the way Prestos fit and how he liked the Velcro straps on the Lebron Soldier 10. While I was settling in and talking to the sales fella about the Kolor Ultra Boost I was wearing, my son had already selected these polka dot Soldier’s that I knew as long as they had a size 10 we would be taking home. Seconds later he had picked out an adidas EQT in grey (his favorite sneaker color) that he claims are “faster” than his current grey sneakers (a plaid Nike Tavas). A solid argument as he made his lap around the benches others use for trying on shoes but he uses as parts of his obstacle course. By the time my wife and daughter showed up, we were in line to pay for our two new shoes. After he gave out 3 or 4 high fives to the crew at Champs we were on our way. My son carried his shoes through the whole mall, ironically like backpack which I still question him on how he came up with the idea… he says he learned it at school. When we arrived home he switched in and out of each of his new shoes trying to decide which was actually the faster of his new purchases. He only stopped to show me how clean they still were. 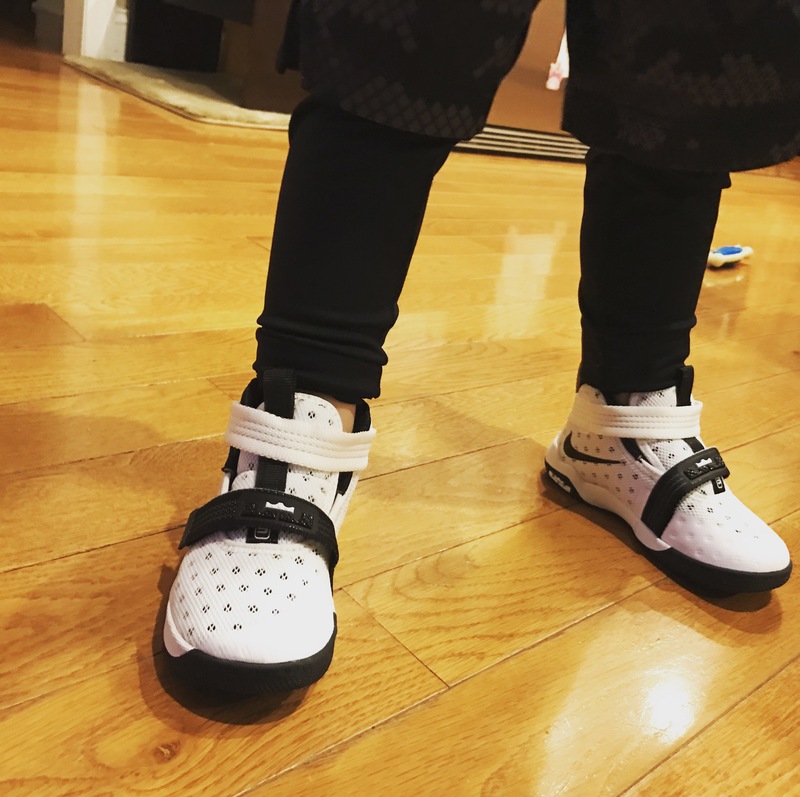 As bedtime approached he boxed back up his new kicks and took them up to his bedroom and fell asleep with his new shoes sitting next to him in his bed. I’ve been known to sleep next to my shoes, I’ve been known to get excited about trips to the mall and although I’ve come to learn shoes don’t make me faster… I do think those Ultra Boost are the most comfortable shoe to run in. Like I said, I don’t mind if my son wants to pick up on some of my characteristics, especially if like this… it’s one of the “good” ones. I want to send a HUGE thank you to the Champs team at Ross Park Mall, you were awesome with my son and it was really cool to talk about shoes with y’all. I grew up in time when to the first to have the coolest shoes first you became friends with the people who worked in your local shoe store and they cared about shoes not because it was their job but it was their job because they cared about shoes. With the sneaker world being flooded by bots, twitter “culture”, resale prices and online queue lines this was really refreshing. Thank you.